My son is 15 months old and is just learning to walk. As a mom with a child that just learned to walk, it's good to get toys for him that will help him walk better and help him with his motor skills. So when I got the opportunity to review Little Tikes Giggly Gears Move N Mow, I was pretty excited. The Move N Mow helps supports my son in a upright position and assist him with moving forward. It keeps him balanced and in control of where he is going. This is the perfect item for him and he loves it. My son has a fascination with wheels and things that move in circular motion. So with the customized gears and wheels he is in an aw when playing with the toy. The colourful, easy-grip gears bring new meaning to hands-on play as kids learn fun ways to build by fitting the gears together and watching them spin, flip and twirl. The pretend starter pull cord is a little loud and there is no area to turn the sound off, but I love that it sounds like a lawn mower and that if played with outside it will still be loud enough for my son to hear it when playing. I have noticed the last few days that my son is in more control and not so wobbly while walking. He is very interested in all the gears on the toy and loves playing with it. My husband is excited for Summer to get here so that his little guy can help him mow the lawn. 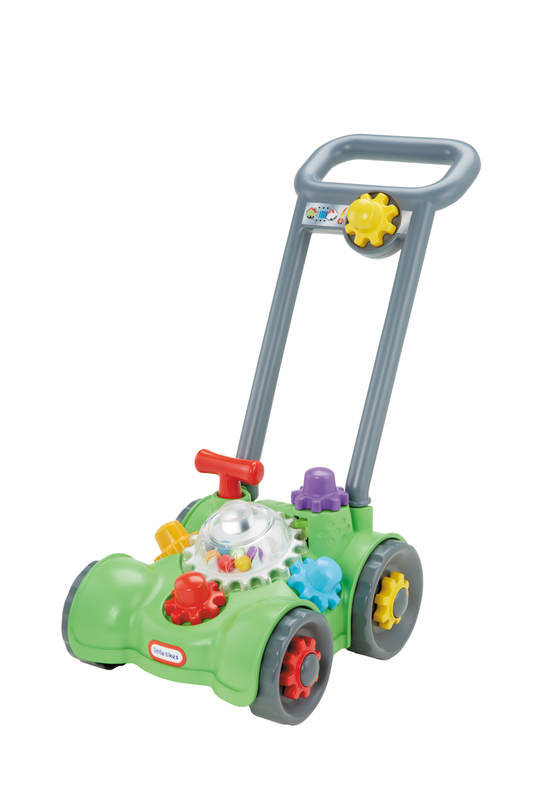 As a mom I would recommend the Giggly Gears Move "N" Mow as a Christmas or birthday present for any little ones (9 to 36 months) that are learning to walk or already walking. I am very pleased to see that this toy has been helping my son with walking on a day to day basis. The Giggly Gears are available in playsets including Tumblin’ Gears and Dizzy Gears. A Giggly Gears Twirl Table, Push Mower and 2-in-1 Walker are also exclusively available at Toys R Us and retails at around $24.99. Disclosure: All opinions are my own. 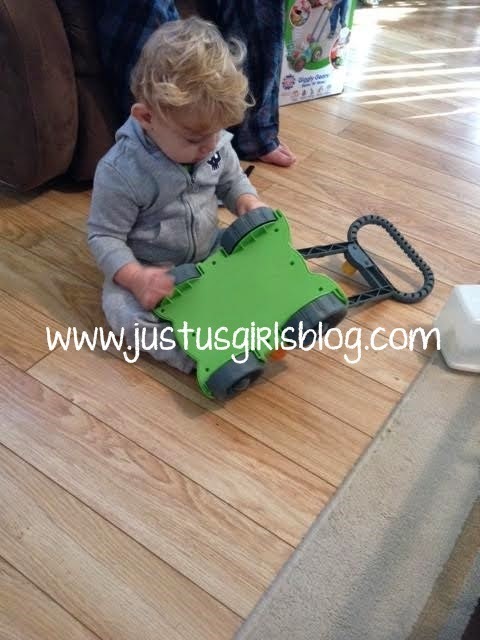 I received Little Tikes Giggly Gears at no cost for the purpose of this review. No other compensation was received.